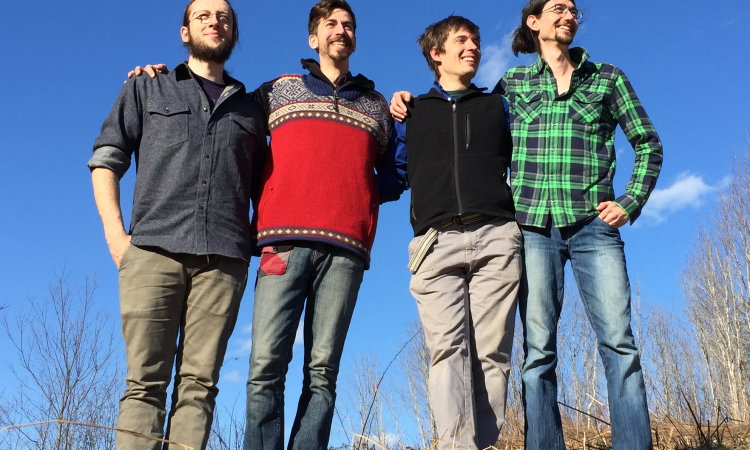 The Monadnock Folklore Society presents the Peterborough, NH First Saturday Contra Dance on September 1, featuring Jean Gorrindo calling with the band Cloud Ten. Caller Jean Gorrindo from California is calling in New Hampshire for the first time. Her strong teaching and musical skills help her deliver dances that are flowing and fun. The band Cloud Ten is Cedar Stanistreet, fiddle; Donal Sheets, guitar and cello; Arthur Davis, piano, banjo, trumpet; and Ness Smith-Savedoff on drums. Cedar Stanistreet is well versed in both traditional fiddle and classical violin. He studied violin performance at the Crane School of Music, and violin-making at the North Bennet Street School. Donal Sheets played jazz bass and classical cello from a very young age and has spent many years playing American and Irish folk music on cello and a variety of other instruments.